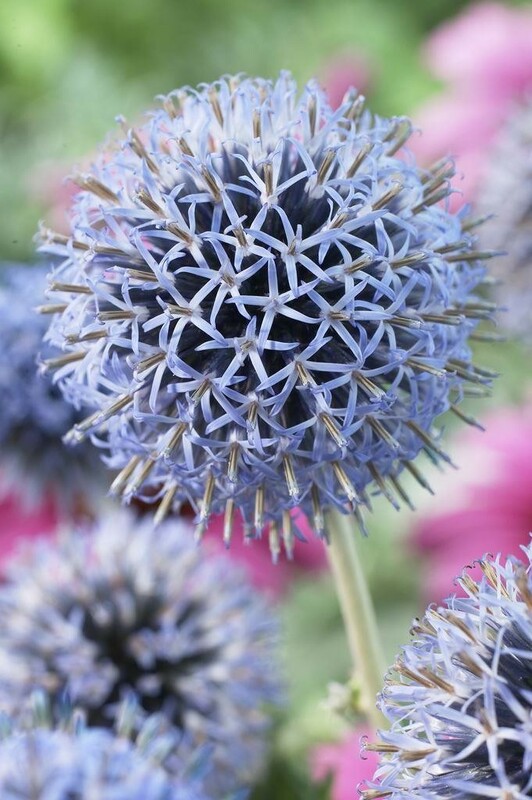 Spherical, bright blue flower-heads up to 5cm (2in) across in July and August and prickly, grey-green leaves. 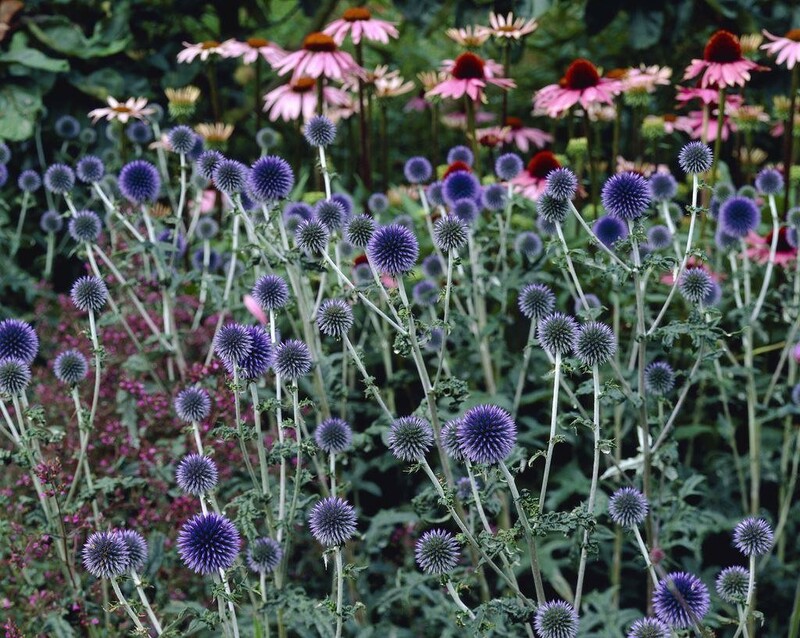 This gorgeous globe thistle is highly attractive to butterflies and bees. An eye-catching, yet undemanding perennial for the back of a herbaceous or mixed border, it's best planted in poor, well-drained soil in full sun. Supplied in approx 3 litre containers.